Strike the right cord with customers with this organizer! 24 color(s) to choose from! Avoid a tangled mess of cords in storage or in your suitcase with this organizer bag. 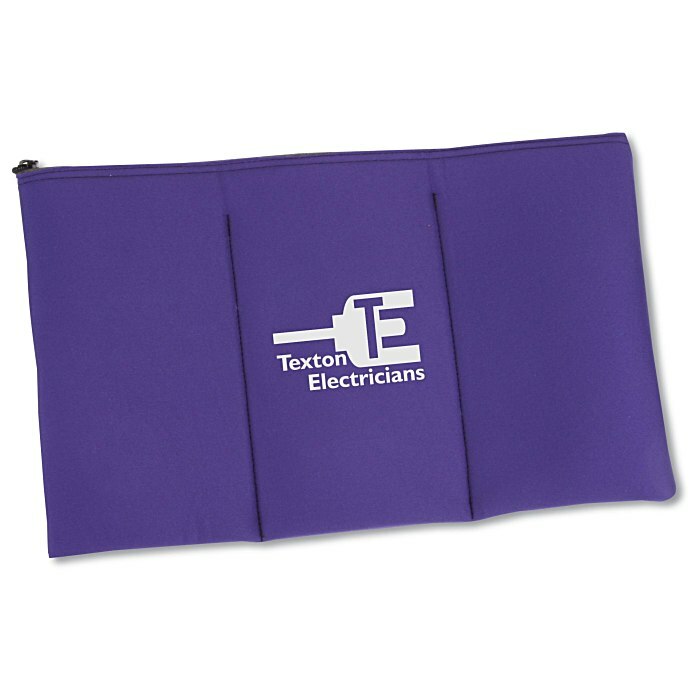 The cable keeper bag is divided into three sections for sorting chargers, cables and other cords. Also great for organizing any other smaller accessories. Made of 1/8" thick high-density open-cell scuba foam for extra padded protection. Your price includes a one-color imprint on one side of the bag.